My post two weeks ago about the closure of Catholic Churches in Conshohocken and Bridgeport offered the unpleasant historical truth that these churches came into existence through a combination of ethnic prejudice and nativism. I made a passing reference to how ethnic prejudice and nativism are actually different things, although they do fit together so very well, and always have. I want to follow up on this, beginning with a classic combination of both. 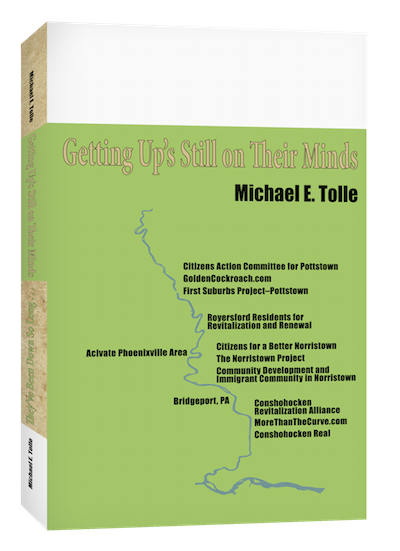 I will then argue that while ethnic prejudice has declined substantially within the Schuylkill River towns (although it is making a comeback), nativism still exists, virtually undiminished. Not only that, it exists in every town in the region (I won't go any farther than that, although I am tempted). Every one of them. People just don’t call it that, because that would upset the nativists, with social ostracism the likely result. This writer’s comments would usually be cited as an example of “nativism.” They are, but the letter contains both both nativism and ethnic prejudice, and distinguishing between them isn’t easy. The ethnic prejudice component of his remarks is obvious, and I doubt any of you need much introduction to ethnic prejudice anyway, so I won’t offer any. Nativism needs some clarification, however, because it is much more prevalent than most realize. It negatively affects communities everywhere, even when issues of ethnicity, or race, are not present. Nativism actually has multiple meanings, most of them scholarly, but we are focusing on its most well-known variant, the belief system that desires favored status for the established and the known over the new and the different. When discussing examples, the emphasis is usually placed on the different part. The influx of Hispanics into Norristown motivated that Italian-American letter writer to virtually repeat the slurs hurled at earlier generations of his own people. But newness is a part of it too, and at the very bottom, it’s what nativism is actually about. To the writer, Hispanics were upsetting the local scene, replacing everything from old familiar stores to older and even more familiar churches. Ethnicity figured into his nativism, but chronology usually trumps even ethnicity. Distaste for and discrimination against the Italians who began to arrive late in the 19th century was not limited to Protestants and the Irish; later arrivals discovered that a caste system had developed with the Italian community (in addition to those imported from their homeland), that of native-born versus immigrant. The earliest-arriving Italians, who had suffered such discrimination from fellow Catholics, birthed a generation that proceeded to look down upon and mistreat the newer immigrants, who were not only Catholic, and not only Italian, but may even have come from the same area in Italy. The elderly gentlemen I referred to a few posts ago about selling his home to African Americans also told a most compelling story that supports this. As a youthful Italian immigrant to Norristown in the first decade of the 20th century, the worst abuse heaped on him was by Italian-Americans of the first generation born in America. That made them “Americans,” and they seized every opportunity to express their disdain for people who were of the same religion and ethnicity as they, but who were new. This is true nativism, the automatic devaluing of those whose time of arrival in the area is more recent than yours. A preference for the established and the familiar over the new is the core of nativism, and it provides the most frequent demonstration of its continuing power. Ethnicity or race--even class--need have nothing to do with it. Your best chance of encountering nativism today is to attend a municipal meeting that features a pending issue of controversy that can’t be pinned on ethnicity or race. There are lots of these, and they usually center around a proposal to tear down something old, build something new, or both. You can’t recognize a nativist physically, except that they tend to be older. This isn’t a generational thing, however; it’s about time in local residence. Nativists are almost invariably the community’s mature to senior citizens, because older people will by definition be the longer-term residents while the newer arrivals are more likely to be young. But once they begin to speak, you’ll have no problem recognizing them. They are the ones who invariably preface their remarks by stating how long they have lived in the community. Their meaning is implicit, but obvious: as long time residents, their opinions should count for more than those of newcomers. If you haven’t been around as long as they have, you can’t possibly have the best interests of the community at heart the way they do; you actually want to change things, but that means newness, and that’s what nativists fear most. They know best what should be done, and very rarely does that mean advocate for change. The old voice that supports the new is not so much rare as noticeable by its isolation. People tend to arrive in communities in waves, in response to incentives both large and widespread (about which I have written) and small and local, such as a new superhighway or a new development. Over time these people can develop a substantial awareness of each other, or at least their common interest in keeping things the way they were when they arrived. This is what gives local nativists their power at the ballot box. In our communities, nativism is the reason the same established local political figures remain in office, resisting not just the electoral challenge of newcomers, but the whole concept of a new approach or just a new idea. They have lost the distinction between the office and its occupant, and interpret challenges to their personal authority as challenges to the welfare of their community. They do this secure in the knowledge that those who they chronologically represent--in residence more than age--and who have voted for them several times before, are going to turn out at the polls in greater numbers than those vocal, pesky newcomers, keeping them in office and new ideas for their community on hold. Sound familiar (fill in name of municipality here)? Let’s talk about those cheaters that cause your taxes to rise while the environment around you goes downhill. I’ll bet you know who they are, or at least think you do. As a historian, I offer to this subject that fact that “gaming the system” is only slightly younger than the system itself, any system. Those who can, do, and they use what the system has given them to work with. The poor always have, do now and always will; this too shall always be with us. So have the rich, of course; that’s how a great many of their ancestors earned fortunes in the first place. Several of our Founding Fathers were smugglers who deeply resented the British Crown’s efforts to curtail their law-breaking, and this grand tradition has continued. Today’s America witnesses the constant volleying back and forth of “truth” about who is doing the cheating, who is to blame, etc., ad nauseum. Mind you, I’m not talking about the system itself, so whether you approve or disapprove of Section 8, or any “welfare” program on principle should not enter into it at this point, nor should your opinion of how tilted toward property owners our legal system is. We’ll have that discussion at another time, trust me. We are limiting this particular discussion to CHEATING, which I hope we can all agree is bad. So I invite you to ignore the national discourse for the purposes of this conversation, and make your own personal comparison: whose gaming the system costs YOU, the taxpayer more? Whose degrades your neighborhood more? For those of you who would argue that the malfeasance of the poor puts the greater financial burden on you, I’ll offer a classic example for our comparison. Or, if you prefer, pick your own example to use. It can be a true incident, to which you can testify or under which you may have suffered, or you can even assemble a collection of stereotypes to use, if you are so inclined. You pick your weapon. My examples of gaming from the top and the bottom both come from the same town, which is only fair. 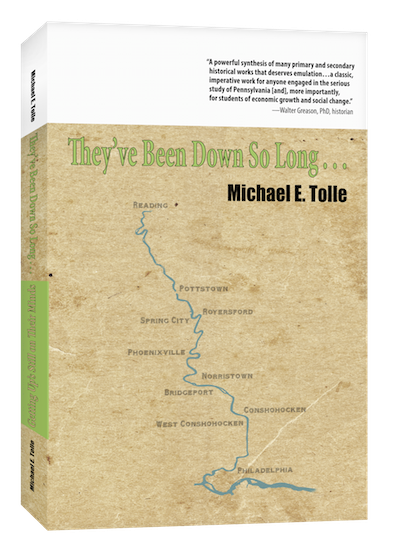 I said "town" because the two examples don’t come from Detroit, Baltimore or any of the well-known examples of urban decay, but from the Borough of Pottstown in Southeastern Pennsylvania, a community of some 22,000 people. Remember, this is all about the Benjamins, so try to total up how much you think each example is costing you by cheating, lying, ignoring the law and general antisocial behavior. Figure in the cost of the police having to pay attention, the courts, the decline in property values, EVERYTHING, for both examples. Read, and decide. Is there any more stereotypical example today of gaming from the bottom than this headline from the Channel 69 website last May? “Drug Ring Operated from Government-Subsidized Housing, Police Say.” The leader of this alleged drug ring was identified as one Edward Tillman. The operation utilized more than one location, but had been headquartered for over a year at the Bright Hope Village, in the 400 block of West King Street, Pottstown, which is, in fact, a subsidized housing complex. That’s all the information I can pass on about this specific crime, unfortunately. This is a criminal case, still to be decided, and the law is not free with information about such cases. That's one reason I invited you to substitute your own example. In 2004, one Mr. Andrew Soule purchased a property at 440 King Street Pottstown, for $75,000, using a mortgage from Fannie Mae. By 2007, Andrew Soule was falling behind on his property taxes. The Borough filed tax liens on the property from 2007 through 2010, when it finally took action to collect on the liens. The exact amount of taxes owed is uncertain, but a knowledgeable estimate puts it at about $15,000. During the period from 2007 to 2010 Andrew Soule rented the property at 440 King Street; the tenant forced to leave by foreclosure had been paying $1,200 per month to live there. Soule performed no maintenance during this period (a photo exists of the house at the time of foreclosure to back this up), and with not paying any taxes, he was pretty much pocketing the entire amount. In 2010 the bank foreclosed on the property (in other words, Soule wasn’t making his mortgage payments either), and ended up owning the property. Andrew Soule’s total default was $99,425.10, and some potential creditors did not participate in the legal actions, so the actual amount is unknown, but greater for sure. In 2011 the bank sold the property through a Fannie Mae auction for $19,425.00 to one Luigi Fischer. Luigi Fischer is Andrew Soule’s cousin, and has not been seen since shortly after the auction. Gee, do you think he might have been a front? The house sits empty to this date and is accumulating another set of tax loans. Did I mention that Andrew Soule owns the property next door at #444 King Street—which sits empty—and a number of other properties in Pottstown, on which he has also defaulted? No matter; we are comparing only single examples, after all. Try to run the math on just this one property of one slumlord's complete refusal to live up to his legal and contractual obligations—pay no taxes, do no maintenance—while collecting up to $1,200 a month, for four years. That doesn’t take into account the time and money spent by the Borough going through the legal motions they knew were pointless. That’s where I get to add the expenses of police and municipal administration to my example; he made them jump through hoops, and laughed all the way to the bank. THEN HE RECYCLED THE PROPERTY TO EXPLOIT IT ALL OVER AGAIN. My friends at Golden Cockroach have exposed this travesty, and may have put a crimp in this slumlord’s plans. I certainly hope so, and if I can add to his Internet Walk of Shame I am proud to do so. So, how do my examples compare, or how does mine from the top compare to mine (or yours) from the bottom? Whose flaunting of the law do you think cost the taxpayers more money? Which example brings down a neighborhood more? I said I would let you decide. I’m sure you have a multitude of other versions of your example, but so do I. Mine was just one building of just one slumlord (who owns several), in a not very big town, who is by no means finished stealing from you, the taxpayer. Those like him often own the rancid buildings from which you see drug dealing; it’s but one way they rip off the people at the bottom, whose cleverness may equal theirs, but whose resources certainly do not. I don’t expect that this one comparison will cause you to let go of your closely held viewpoint about what’s wrong with our country, but all I ask is that you absorb the lesson and multiply it by the countless number of people who do pretty much the same thing. As always, I ask you to make your decision based on “the Benjamins,” not some comforting collection of myths. We should all be angry at EVERY attempt to cheat and steal from ourselves and our communities; we should seek out and vigorously prosecute ALL examples from wherever we find them. But shouldn’t we be angrier at those who cost us more, who do our towns and cities more damage? Should we not focus on them more, and allocate more resources to their prosecution and conviction? You would think so, particularly when the comparison isn’t even close. But I don’t see that being the case. I would submit to you that gaming the system from the top is much more effective than from the bottom, and that it costs you, the taxpayer, a great deal more. There two fundamental reasons for this: first, because the gamers at the top have a lot more money to play with, and second, because their ancestors wrote the rules of the system in the first place. We still live within a legal system that was created to give primacy to the rights of property over the rights of man. That was the "original intent"of our Constitution and our inheritance from the English common law. It was also a subject on which our founding fathers waxed eloquently and at length. All those misguided liberals from Theodore Roosevelt on have added laws aimed at reducing that imbalance, and the resulting laws have offered new ways to game the system from the bottom, but money still talks. Of course, as Bob Dylan reminds us, "money doesn't talk, it swears." My recent posts in this series have offered reasons why residential segregation was the theme of the automobile suburbs, and why it pretty much worked. My previous post introduced the idea that the influx of African Americans into our cities also spurred further residential segregation within the cities themselves, as “white flight” took its toll. As we turn our attention from how African Americans ended up in our northern cities to what happened to them on arrival, let’s pick up from where we left off by understanding that while the phrase “white flight” describes a reality, it doesn’t describe the whole reality. Some whites who felt threatened by the influx did not flee, but defended their neighborhoods with methods ranging from employing the law to ignoring it. Regardless of their tactics, the net result was a loss, not just for those they opposed, but for themselves as well. You can say they have only themselves to blame, but that would be ignoring the existence and importance of a crucial third group, much smaller in size, but huge in influence: those who realized they could profit from the conflict, and profit even more by intensifying it. They succeeded in enriching themselves, and in the process further solidified the racial segregation in our cities while removing the tax base upon which those cities depended. They won because everyone else lost. That’s why I focus on them, not those whose desires and fears they exploited. Keep in mind that I said “further solidified” because our cities always have been residentially segregated, and I’m not just talking about the ones in the South. African Americans were present in the north from early colonial times. As either individual servants—or slaves—they were easily overlooked, and rarely counted accurately. As long as they were few in number, this worked; once there got to be more of them they were harder to ignore. Southern communities realized this quite early, of course, but while total population growth in the northern cities greatly exceeded that of African Americans, it could be largely ignored. The Great Migration and the opening of the automobile suburbs put an end to that. This is when a great many heretofore settled and content middle class white people actually had to confront the issue of race much too closely. Some may flee and some may fight, but a few will always profit. An unholy combination of real estate speculators, bankers and other types that tend to benefit when the general populace suffers saw how racism plus proximity equaled fat profits for them. Some of them resolved that if African Americans could not be kept out entirely, then they were to be directed to specific neighborhoods; others realized how to profit from it. First on the list of neighborhoods in their lens was, of course, were those so unfortunate as to already have African Americans living in them. As proximity was the prime motivator of “white flight,” those already-existing neighborhoods tended to expand. This was not left to chance, however. I have previously introduced you to “Restrictive Covenants” as a primary (but not the only) means by which the political/financial power structure ensured that the new automobile suburbs would be white. Now it’s time for three new phrases that help to describe the means by which racial segregation was maintained and even reinforced in the cities affected by both The Great Migration and White Flight. It was an impressive achievement, considering the huge numbers of people involved. Of course huge numbers of people moving meant equally huge profits for those who subscribed to Ayn Rand’s dictum that morality has no place in a market economy, and who were positioned to profit as much from economic crisis as from economic prosperity. This semi-alliance that saw profit in population turnover had a huge legal advantage; the National Housing Act of 1934, in attempting to manage real estate risk, allowed banks to outline whole neighborhoods as being “insufficiently secure” for investment capital. From this grew the practice of “Redlining” neighborhoods, allowing banks to legally refuse to make loans to aspiring businesses—or residences—within those areas. This quickly caused the flow of that vital ingredient of capitalist enterprise to those neighborhoods to dry up, while spurring the flight of what capital still remained to other locations. Loans to bring in and to sustain industry and commerce—those all-important contributors to the tax base—became virtually unavailable within redlined neighborhoods. This condemned these neighborhoods—as well as all those within them—to decline and decay. A closely related practice (sometimes so intertwined with redlining as to be inseparable) was “Mortgage Discrimination,” specifically on the basis of race or ethnicity. This was also widespread and openly practiced within the financial community at least until the 1970s. Unlike redlining, which focused on a neighborhood, mortgage discrimination focused on individuals and thus had to be disguised to a greater extent, for obvious reasons. The two interacted, of course, and African American families applying for a mortgage were much more likely to be denied one, particularly if it was for the "wrong" neighborhood. This added residential mortgages to the industrial and commercial ones being carefully directed to specific neighborhoods and denied to others, thus completing the trifecta of disinvestment. It should surprise no one when I mention that those neighborhoods most subjected to the combination of discriminatory practices so carefully developed by our financial sector almost always housed not just the poorer people, which were disproportionately black anyway, but also numerous middle class neighborhoods that had the bad luck to also house African Americans. Luck had nothing to do with it, of course. That is where the real conspiracy came in, and it was all about the Benjamins. The emotional resistance of frightened white people in redlined districts (or those nearby) could turn a profit for the right people in any number of ways. “Block Busting” is my third phrase, and probably the most well known of the three. It’s one of the very best business strategies ever developed, because it was always guaranteed to turn a profit for the middleman. Both sides in a real estate transaction paid him regardless, so the key was volume, and nothing drives volume like fear. Please keep in mind that African Americans were by no means the first ones to find themselves playing the villain in this particular melodrama. 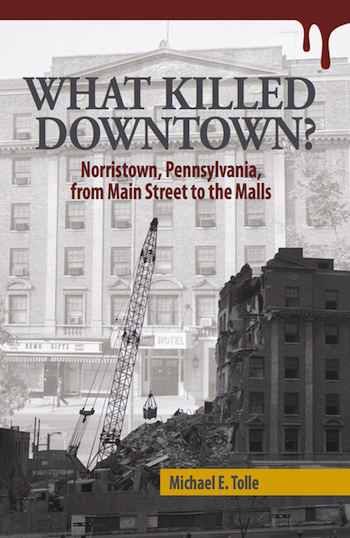 My book What Killed Downtown? Norristown, Pennsylvania, From Main Street to the Malls, describes how a prominent real estate agent, motivated by the ethnic discrimination he had experienced as an Italian, resolved to do exactly what local residents feared most: move Italians into every neighborhood in town. By the by, his idealism, plus the fear of Italians moving into the neighborhood, produced good profits. These policies and practices effectively divided our cities into those neighborhoods that were protected and those that were not. The story simply gets worse from there. By the 1960s, the effects of this perfect storm of happenstances—government policies, romanticism and racism, all undergirded by a transportation revolution—were becoming obvious everywhere. The Federal Government responded by passing new Acts designed to combat the ills caused by the post-war Acts. I will discuss these in future posts, because many perceive the cures to have been worse than the disease. But it wasn’t only the large cities that saw such directing of the African American influx, or the effective, if not formal, redlining of its neighborhoods. If you live in a town of any size, aren’t there one or more “black neighborhoods”? Size is definitely a factor here; redlining neighborhoods in large cities was commonplace (my use of the past tense doesn’t mean it has ended), but much smaller towns the size of Norristown and Pottstown certainly saw it on a substantial scale. The smaller the town, the less opportunity for residential segregation, but it was practiced whenever possible.